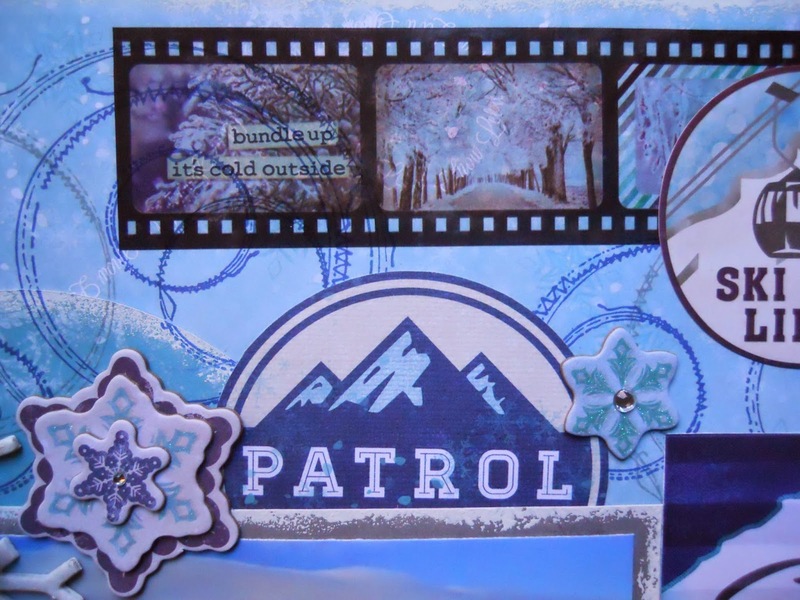 Drea here with another project featuring Bo Bunny's awesome Altitude I Want It All Bundle from FotoBella! Trust me, this is definitely a collection that you'll want all of! 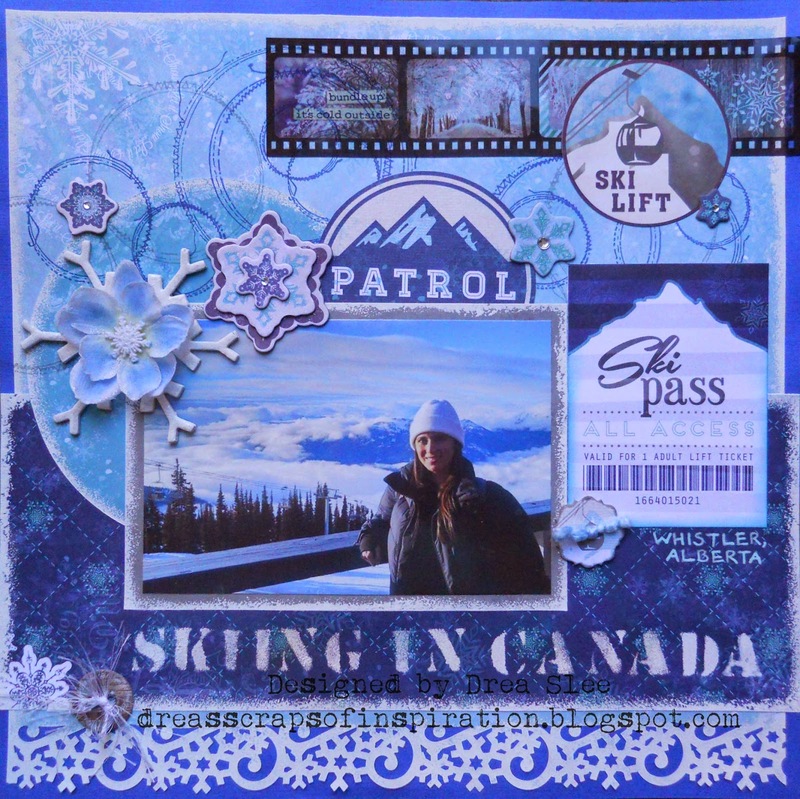 Even though I'm not a skier, I wanted to showcase some of the fabulous ski goodies that come in this bundle, so I scrapped this photo of my sister on the slopes in Canada. What better inspiration, besides this beautiful photo, than Bo Bunny's sketch for December! I started with blue cardstock for the background to bring out the blues in the photo. Then I used white paint for the punched snowflake border and edges of my papers, as well as the title, which was done using the Cargo Alphabet Stencil from Tim Holtz. After stamping the stitched circles, I added the snowflakes that come in the Layered Chipboard pack. The large white snowflake with the flower came from my own stash. I got the Ski Lift circle from the Noteworthy pack, which I placed over the Film Sticker.Then I added a couple of buttons with some fiber through them to finish it up.